She started her Gu Zheng learning path at the age of 9 under the encouragement of both her parents. In her early years of music education, she had the opportunity to receive guidance from Miss Ng Xiao Lan and Miss Lew Yoke Yee. In year 2007, Jesmine Ng had graduated with a Diploma in Music from Malaysian Institute of Arts (MIA) with majoring in Gu Zheng under the tutelage of Miss Tan Huey Joo and minor in Piano under Miss Yuan Leow Yunn. 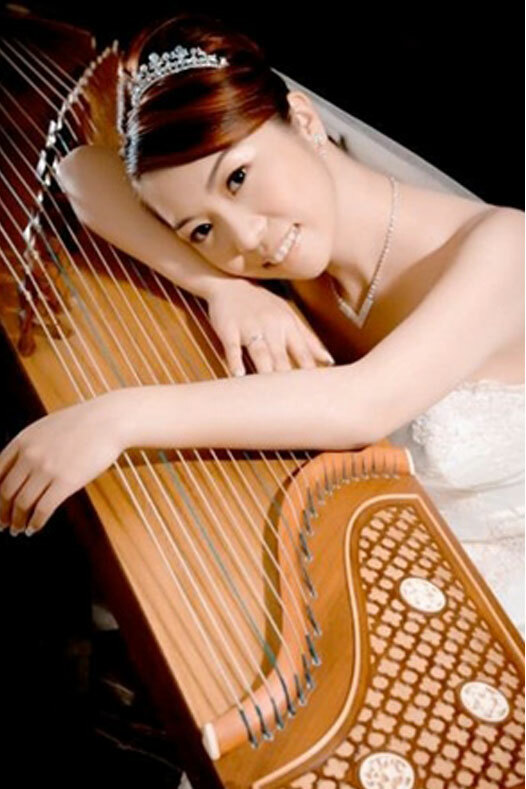 During she study in MIA, Jesmine Ng had participated in many of GuZheng musical concerts such as , < GuZheng’s Dialogue 1>, . She also active participated in MIA Ladies Choir. In year 2005, The Ladies Choir had awarded Silver A in competition “A Voyage of Songs, International Choral Festival” hold in Shah Alam. In year 2006, they had awarded Golden A in competition “International Choral Festival hold in Hong Kong. The Central Conservatory of Music, China awarded Ms Ng with a Merit Certificate for her Grade 9 Gu Zheng examination in 2013. She has been attending some Gu Zheng master classes with GuZheng Prof. Fan Yi Feng, Prof. Qu Yun, and Prof Shun Zhuo from China. Jesmine Ng is very experienced in the art of performance and has involved in many private functions and short-term contracts with Café & Bistros, Hotels and other public places. She had also been to China “Guang Zhou”, “Xi An”, Taiwan, Hong Kong and Australia to performed. Her passion for music can be clearly heard from her performances. Moreover, her improvisation skills have been grasping audiences’ attention in many occasions, earning her applauses and appreciations. Having such versatile musician is a definite bonus to any functions and events. Currently, Jesmine is a Music Director in Art Melody Music School. 2005- "Yue Lang" Malaysia Chinese orchestra (Solo) competition hold in Terengganu with Consolation prize.